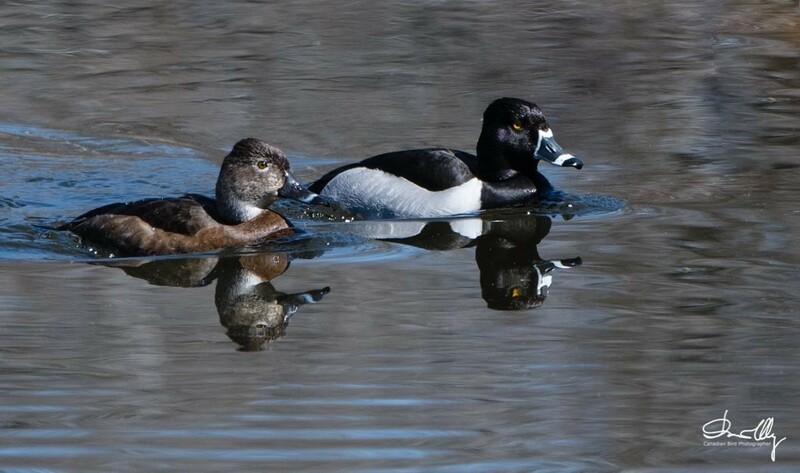 Someone said, Ring-necked Ducks are common. However, for me they are uncommon. 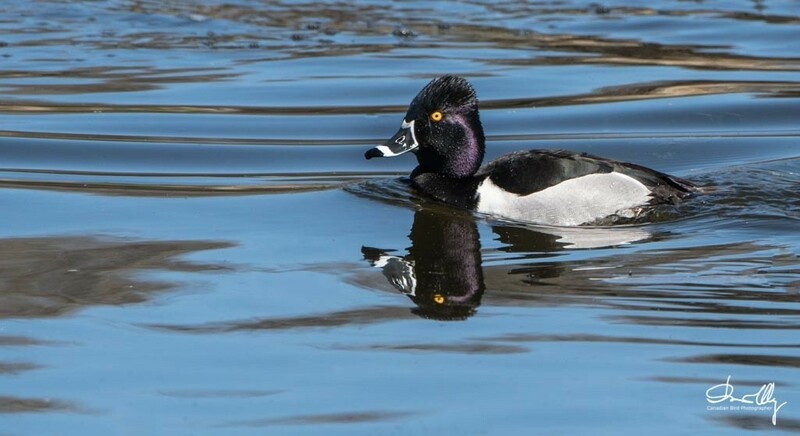 I have threaded deep in many marshes and sat for long periods at ponds in blinds, but I have not seen the Ring-necked Duck. There was one occasion where I photographed this duck. I was in Cypress Hills Provincial Park south of Medicine Hat in Southern Alberta there was a pond with a couple in it. 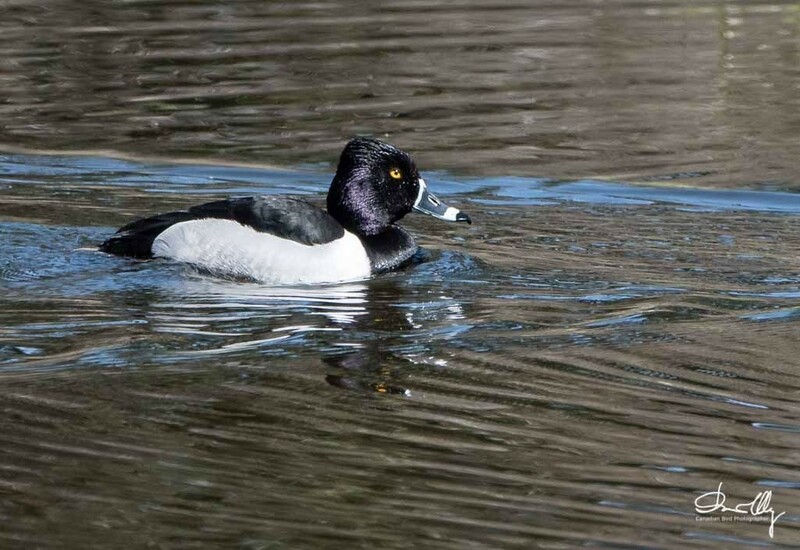 We have several pretty ducks in Alberta, but I think the Ring-necked Duck rates at the top. With the bright yellow eye and the purple head it is absolutely beautiful in the right light.The white ring on the beck on both the female and male is a dead giveaway for identification. To get good photographs of this duck, I had to underexpose by 11/2 stops to save the whites from being overexposed. !/1250 at F8 ISO 320(Auto) with a Nikon 500mm F4 lens on a Nikon D 500 Body.